Diana embodies the enterprising nature of the foundation that bears her name. As Chairman and President, Diana provides strategic guidance while actively participating in grant making and organizational outreach. In addition to her philanthropic career, Diana is an accomplished journalist and author, having written for numerous local and national publications. She served as editor of the Foreign Policy Association’s newsletter and was a member of literary organizations including the National League of American Pen Women, National Writers Union, and National Press Club. Diana also enjoyed a successful career as an activist, having advocated for legislation that improved educational opportunities for special needs children and promoted environmental sustainability through recycling. 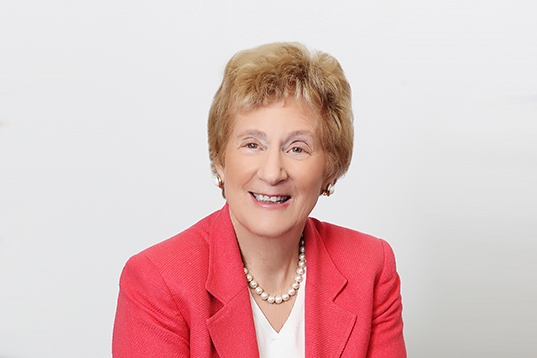 She sits on various boards, including the Wilson National Cabinet, Network for Teaching Entrepreneurship, the Masters School, American Swiss Foundation, and the Northeast Harbor Library. Diana is also a board member emerita of Wheaton College, her alma mater. Diana travels widely throughout Europe and Asia, having visited Russia five times to meet with government and business leaders. She enjoys tennis, hiking, and meeting fellow writers.